We are excited to share a brand new case study with you! Read on to learn how we helped wealth management client, Glacier, by Sanlam achieve its digital transformation goals by migrating an estimated 3 million investor communications from paper to secure documents – delivered by email and stored for the requisite record period. As a registered user, you can download the entire case study for free. Glacier, by Sanlam is a niche provider of wealth management services to a select customer base of high net worth individuals via selected intermediaries. Up until 2012, Glacier was still sending important correspondence like letters and statements by print and post. While investor and broker communication is considered a key part of its premium service, the high cost and inefficiency of the existing process needed to be addressed. The long term objective was to create individualized digital experiences for both investors and intermediaries. Complex business rules that had been implemented over many years needed to be replicated and enhanced in the digital process to deliver the required level of personalized customer experience. 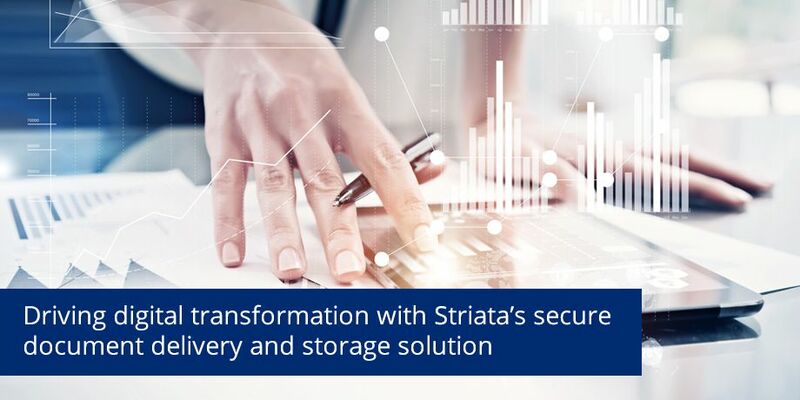 The solution proposed by Striata involved creating content rich, interactive, secure documents which would be delivered by email and made available via the Glacier customer portal to brokers, investors and customer services. 13 migration projects completed at an average of 10 to 16 weeks per project. An estimated 3 million documents replaced.